KickBeat Special Edition sees Zen Studios depart from their highly popular pinball franchise Zen Pinball, and focus on something entirely different. A rhythm game where you smash bad guy’s teeth in, to the beat of the music. In KickBeat you can play as 1 of 2 characters Lee and Mei. The duo are from a holy monastery that is the keeper and guard to the abstract concept of music. The sphere which contains all human music is stolen by an evil organization. From here the martial artists go on a worldwide adventure in which they have to find and return the sphere. Visiting locations like Tokyo, Chicago and Paris along the way. The story progresses through comic book like animated cutscenes, in which inform you of the latest developments before you start the next round. The gameplay is easy to learn, but very difficult to master. 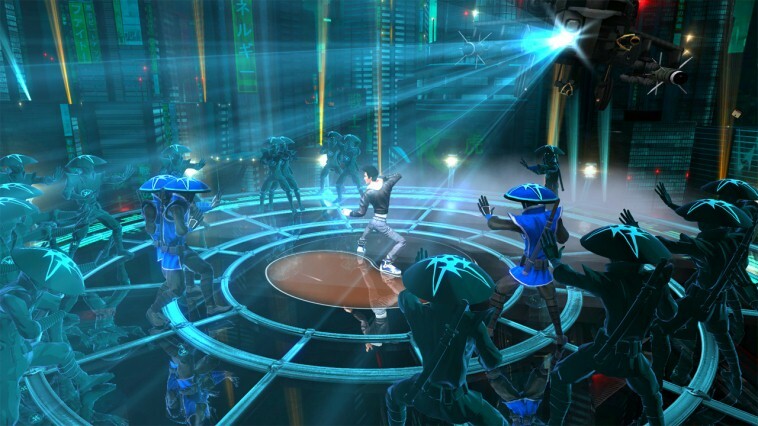 Players stand on a circular platform and press the correct button in time to the song that is playing at the time. The buttons all relate to different directions. X for up, A for Right, B for down and Y for left. The difficulty of the enemies differs depending on the colour of said combatant. Yellow enemies are the slowest. Meaning you can be a little off with your timed press and have no real comeuppance. Blue enemies move much faster than the yellow, making it harder to hit them in time. The final colour is red. Enemies of this colour come at you in pairs making you press two buttons at the same time to take them out. There are a lot of different control options for the Wii U version of this game. The Gamepads face buttons can be used, as well as the d-pad if you find that easier. Touch controls also come to this version, which makes it stand out from the versions on other consoles. You can also use the Wii U pro controller if you don’t want all that weight in your hands for a rhythm based game. Powerups can be collected from enemies along the way to take some of the difficulty away for the trickier sections. Items like bombs and shields are very useful. The better you do, the faster your “Chi” increases. Release your Chi with L fir a score multiplayer, a great way to shoot up them leaderboards. If you get hit for missing a beat, then you lose health. Lose all of your health and like any game… you’re dead. Kickbeat is really your standard rhythm game, just with martial arts added in. The thing that sets it apart is the visuals and presentation. Clean menus and upfront leaderboards really take you to the action and make you have that competitive vibe to make you beat your friends. (No pun intended…) Another difference from your standard rhythm game is the way the icons come on screen. In Rock band, or guitar hero, the icons scroll down the screen ready to be entered at the correct time. In Kickbeat, the bad guys circle anti clockwise around the circle you stand in, ready to attack. One of the annoying things about the menus though is the loading times between them and the game. To load a song and a very small stage, feels like you’re loading up Los Santos from GTA V, and everyone knows how long that takes… Long loading times aside though, the game is very well put together and for a rhythm game, really sets itself aside from the competition with its martial arts addition. Games of this kind only come about once in a while nowadays, so it’s really nice to see one as good as this. Although the tracks are great, sometimes the beat and the button presses are out of sync. This is obviously a major no no for any game of this kind. Fortunately, it didn’t happen too many times. The game is hard enough without it forcing you to fail without doing anything wrong. That brings us nicely to difficulty settings. Kickbeat has 4 different settings for difficulty. The hardest difficulty being near unplayable. Well… for me anyway, I’m sure there are pros out there who can bash it out in their sleep. A slew of difficulty modes and a barrage of game modes too. 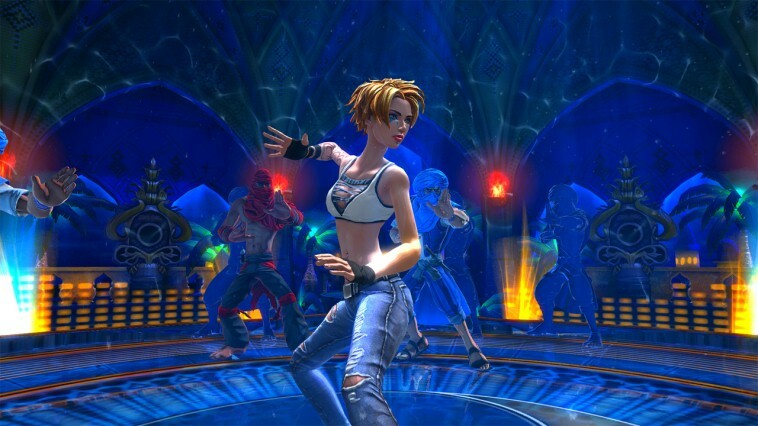 Kickbeat contains both solo and multiplayer modes. In the solo section, there’s Story mode, Survival and free play. All fairly self explanatory. The story consists of 48 levels in total, that’s about 4 albums of gameplay if you do every level 1st time, its pretty long for a game of this genre. The multiplayer is a head to head battle. One player using the TV and pro controller and the other using the gamepad. This means that there is no split screen, one screen each for multiplayer, which is a huge plus. It would have been easy for Zen Studios to simply port the PS3 version over to Wii U but the extras like that do go a long way and make us Nintendo fans feel special. On the whole, KickBeat Special Edition is a great rhythm game, adding in new features the genre has never seen before. The fact that this is the 1st rhythm game in a few years helps to accept it as a great entry too. The graphical style compliments the martial arts in the game and the music over that tops it off nicely. If you’re looking for a new game in this genre, look no further for a cheap and cheerful challenge.